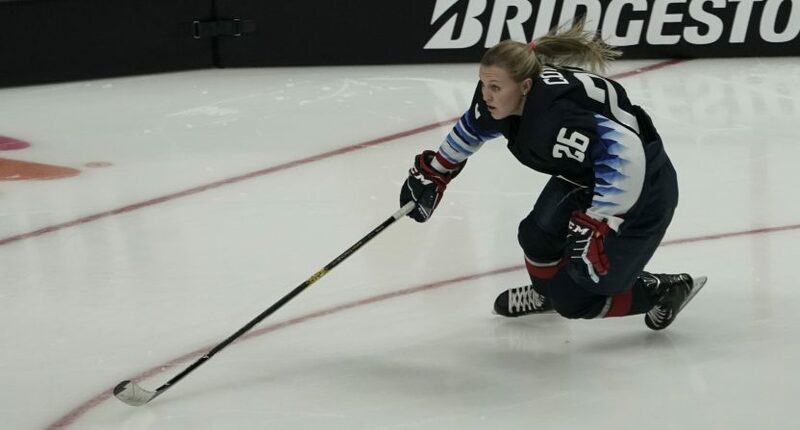 Kendall Coyne Schofield is a pretty big deal in the world of women’s hockey. The forward won five gold medals as part of the U.S. national title at the IIHF World Women’s Championships as well as the gold medal at the 2018 Winter Olympics. She made headlines over the weekend as the first woman to ever compete in the NHL All-Stars Skills Competition. And following her performance, in which she finished seventh overall in the fastest skater event, she’s become a pretty big deal in the world of hockey, period. NBC is well aware of this and has hired her to be an analyst for the Wednesday Night Hockey game between Tampa Bay Lightning and Pittsburgh Penguins. The game will be televised on NBCSN at 8:00 p.m. EST. Kendall is no stranger to the world of media. She was a communications major at Northeastern and worked as a sideline reporter while there. As for what she’ll be doing during this broadcast, CoyneSchofield will appear on the pregame show and Inside the Glass with Pierre McGuire. She will also make appearances during intermissions. This won’t be the first time NBC has featured a women’s hockey player during an NHL broadcast. Former U.S. Olympian A.J. Mleczko previously worked as an analyst for the network. She is currently working as an Islanders studio analyst for Madison Square Garden network.